A friend of mine was training for a Team in Training marathon and she was holding a silent auction to raise some money. 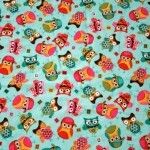 I completely randomly checked her site to see what she was auctioning off, and low-and-behold, there was FABRIC! So of course I bid on it and I WON! 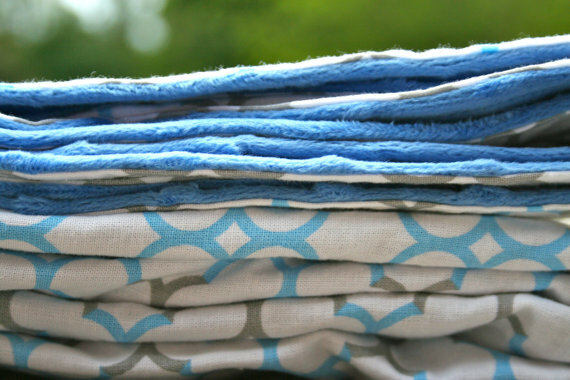 I won a beautiful fat quarter bundle of monaluna organic fabric from the Taali collection. 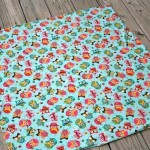 These adorable prints are perfect for all babies with their whimsical cats, dogs, bikes, apples and sheep. 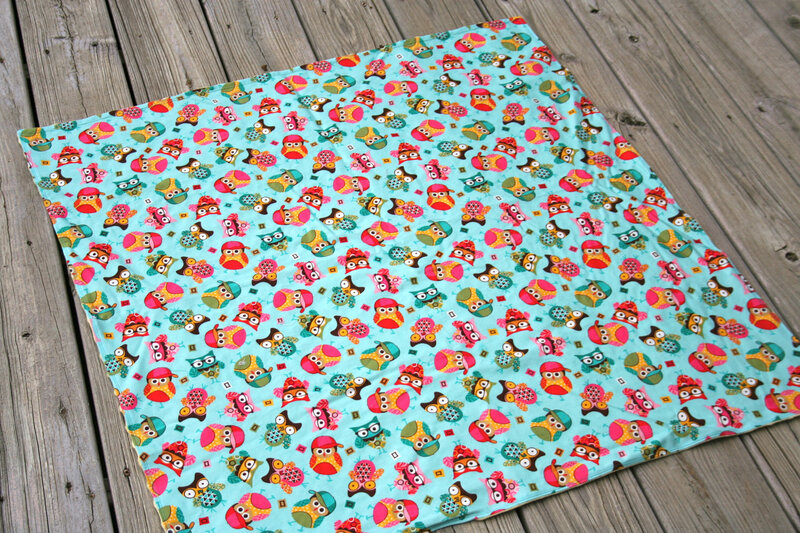 When I received my fabric, the stack just screamed BABY to me and I couldn’t wait to cut into it. 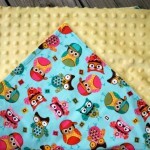 Fortunately for me, or you, I was able to make 2 quilts with the fabric. LOVE IT! I wanted to keep the quilt in 100% organic but didn’t quite pull it off. 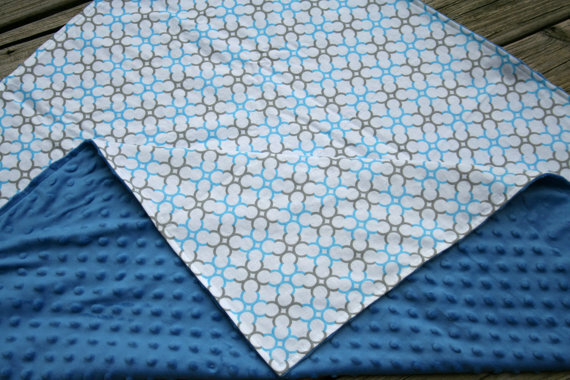 This quilt is bound with organic fabric although the border and back are not. 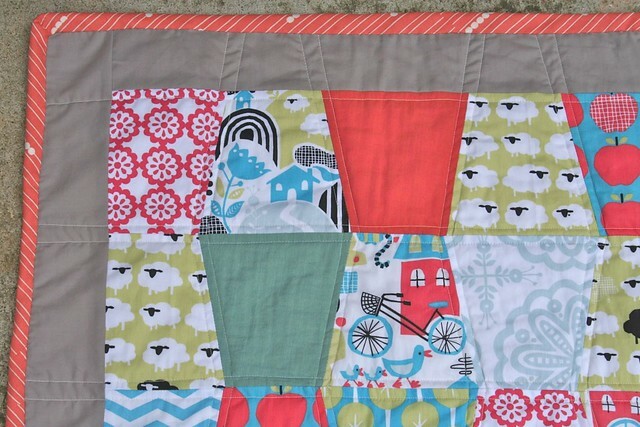 This quilt measures 27×35, has 100% cotton batting and is hand bound. This quilt has NOT been machine washed and does not yet have its quilting squishiness. 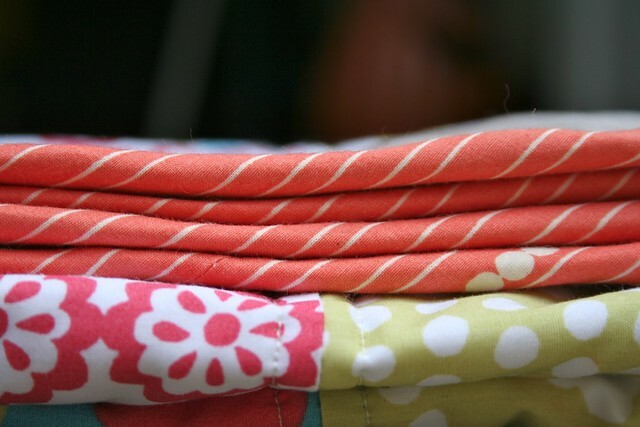 Please expect that the quilts change a bit in look and size when washed and takes on its “quilting” qualities. Machine wash cold on a gentle cycle, dry on a gentle cycle as well. If I had a little baby, I’d wrap him in this all winter long.